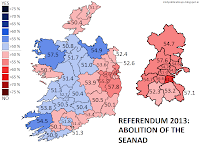 The Government failed to convince the electorate on the Abolition of the Seanad, resulting in a "wallop" for Enda Kenny's coalition, though the Court of Appeals referendum was passed with a comfortable margin. 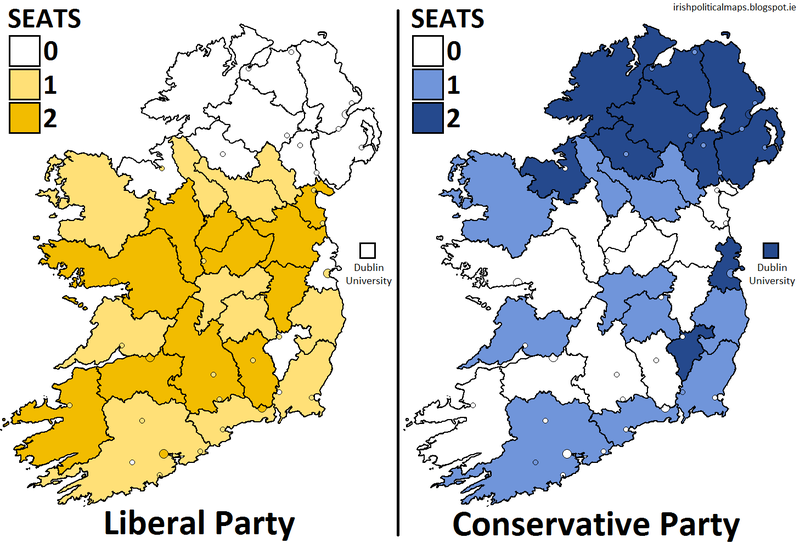 The 1865 UK general election in Ireland saw the Whigs - now calling themselves the Liberal Party - keeping power, with that party winning more widespread support in Ireland than the Conservatives. The Tories did however keep their stronghold in Ulster. 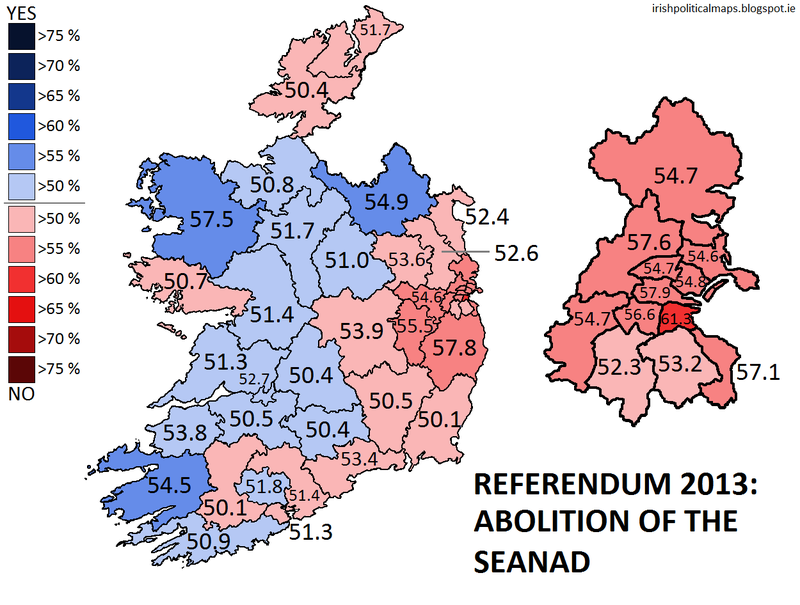 The 1995 Divorce referendum saw the Irish electorate return to the question of whether Irish law should allow for the dissolution of marriage. In 1986 they voted 2:1 against it. This time, however, there would be a different result. 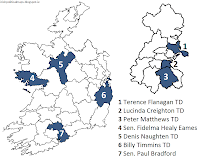 Fine Gael is down to 69 seats in the aftermath of the abortion debates, while Willie Penrose rejoins the Labour Party after more than a year in the cold.